Plykea cabinet doors in Navy Blue Formica and semi-recessed handles. Despite being scorned by some pros, Ikea cabinets continue to remain a popular option for projects on a budget. These seven companies allow you to dress up the boxes. Ikea cabinets are also popular with homeowners working on kitchen remodels. 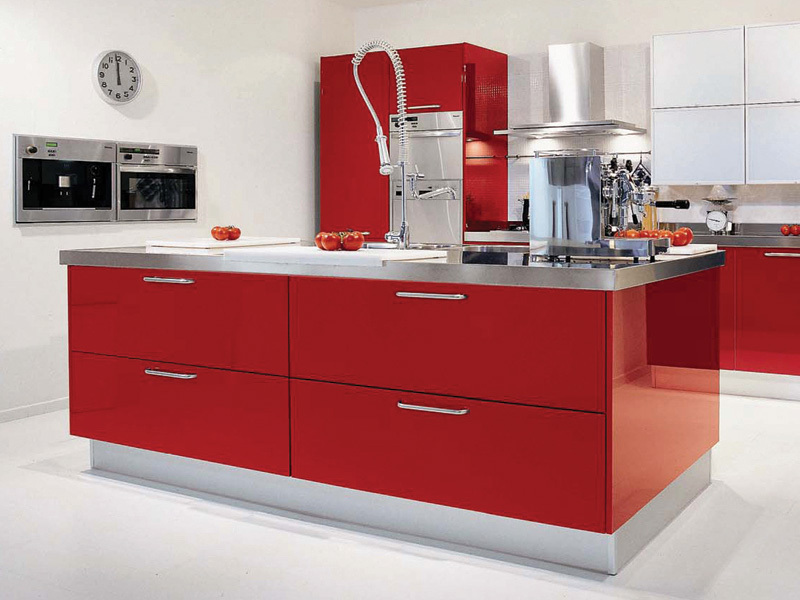 In fact, the brand’s Sektion line of kitchen cabinets topped all categories in J.D. Power’s 2018 Kitchen Cabinet Satisfaction Study. The study, which surveyed 2,325 customers who purchased kitchen cabinets within the previous 12 months, determined cabinet manufacturer rankings based on five factors, including design features, operational performance, ordering and delivery, price, and warranty. Ikea’s Sektion cabinets received 872 points (of 1,000) in customer satisfaction, followed by Thomasville (849) and American Woodmark (846). The Swedish brand performed the highest (over seven other cabinet manufacturers) in all five factors assessed in the survey. 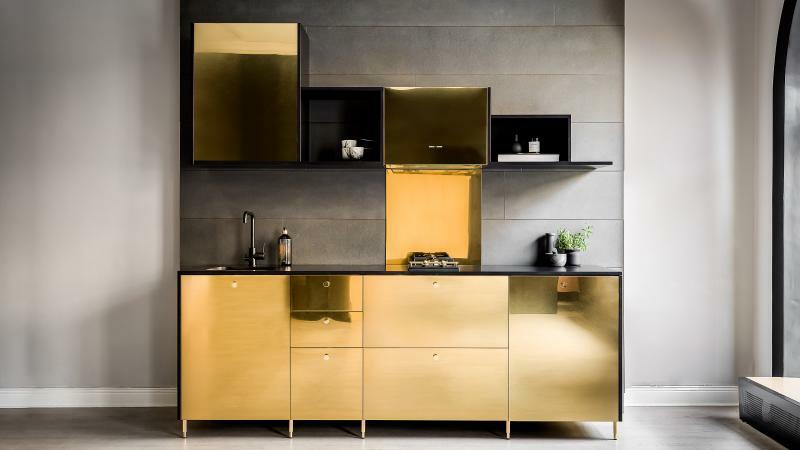 Nevertheless, the brand is the go-to source for many when the budget doesn’t support custom, semi-custom, or even stock cabinets. It’s the option when Virginia Valentini and Francesco Berganze of Spazio Primario run into a project on a slim budget. The duo especially favors mixing high-end products from such brands as Fisher & Paykel, Bosch, and KitchenAid and pairing them with Ikea boxes. Ikea kitchen cabinets have become so popular with architects and designers that there has been an increase in companies whose sole business model is offering drawer and door fronts for the company’s boxes. Ottawa, Ontario-based Swedish Door says the company was founded with the goal of delivering good design to more people. The company “saw a need where clients could use a more cost effective cabinetry package, such as Ikea and big box store cabinetry, and blend it with customized doors and components to get a personalized look while managing the budget,” its website syas. Swedish Door offers cabinet doors, drawer faces, panels, and mouldings for Ikea or any other brand of cabinets. Door options include lacquered high-density fibreboard, real wood veneer, Five-piece solid wood, thermally fused laminate, or high-gloss panels. To that end, Superfront offers lacquered or painted MDF drawers, doors, and sides, as well as legs, handles, and tops to fit Ikea’s most common cabinet frames. Doors are available in a variety of patterns and colors, or designers may specify custom colors. Even cabinet suppliers that do custom cabinets are offering fronts to fit Ikea products. One such cabinetmaker is Scherr's Cabinet & Doors in Minot, N.D.
“Although we make high quality custom cabinets, we understand that custom cabinetry often doesn't fit into many people's budgets or schedules,” the company says. As an alternative to build custom ready-to-assemble cabinets, the company now makes doors, drawer fronts, trim, and other components to work with Ikea's Sektion cabinet boxes. It offers the same service for the Ikea’s wardrobes and bathroom vanities. Eugene, Ore.-based John Webb Construction & Design is a full-service design and build contractor specializing in custom construction, remodeling and restoration for residential and light commercial projects. 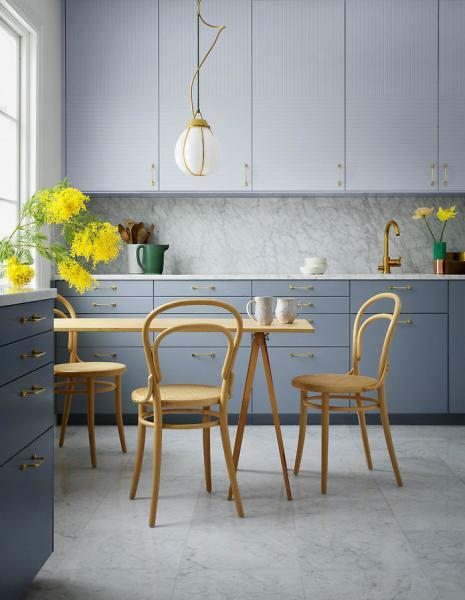 But the company has launched Dendra Doors to design and build high-quality, custom doors for Ikea kitchen cabinet systems, offering the affordability of an off-the-shelf product with all the style of custom, the company’s website says. For those professionals who consider Ikea an option, we’ve done some digging and found a number of brands that can help you step up your game just a little bit more.